I hope that everybody is having a great week. It’s almost Friday and I’m sure we are all looking forward for a restful and fun weekend. On this post I would like to focus a bit more on a functional portion of AX 2012 Retail. 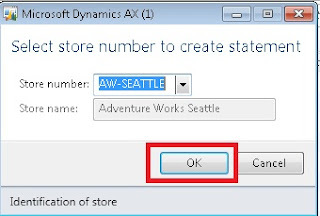 This week I was working on some customization in AX 2012 Retail that required the posting of POS transactions from AX 2012 Retail. 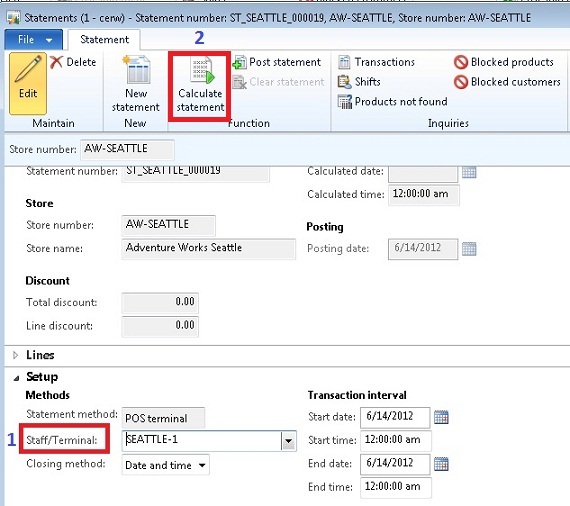 However, before posting the POS transactional data in AX 2012 retail, we need to create a Statement. The Statement records will be stored in the RETAILSTATEMENTTABLE, and the statement data will be used during the posting process. 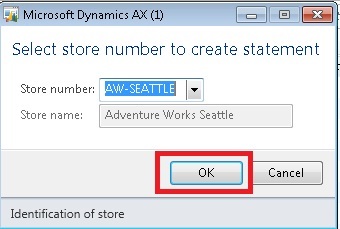 In order to have transactional data in AX 2012 Retail we need to run a Job that does this for us. You can find the job in Retail/Periodic/Retail Scheduler/Distribution Schedule. 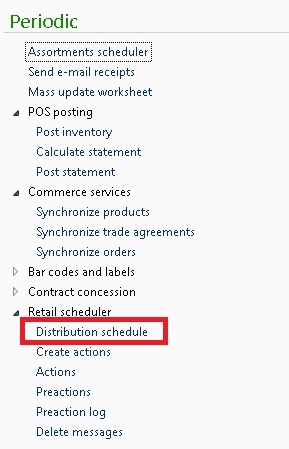 When you click the menu item, the Distribution Schedule form opens. On the left side you will see the list of jobs available for us to run. 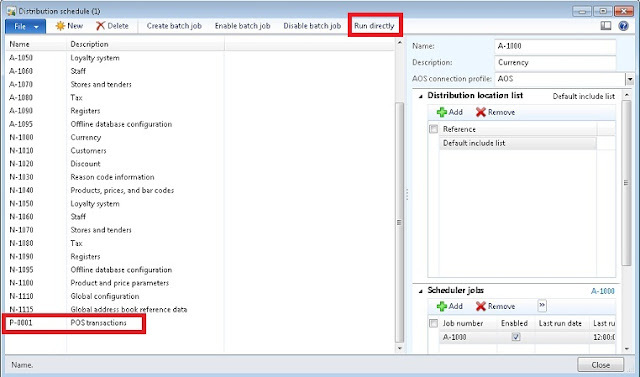 In the AX 2012 Retail Demo this jobs is called P-0001 (POS Transactions). We can run this job from this window by clicking the Run Directly button. 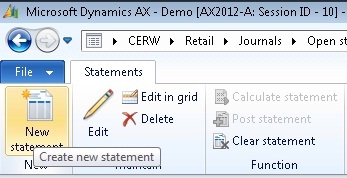 Click the Calculate Statement button. When the statement is calculated, click the Post Statement button to post the transactions. That’s all for now folks. Keep checking my blog for much more to come on AX 2012 Retail. I’m working on something really cool right now and I need some time to write about Blank Operations, but I will and very soon. Hey! Thanks so much for reading my blog and finding it productive. The above steps are easily understandable but I have one doubt in that. In the above mentioned P-Scheduler job, how can we ensure that from a particular terminal or store (like for example Store S0001 and terminal 0001 or from different stores and different terminals) to HQ. Because I want to run the scheduler for a particuler terminal and store only not for the remaining. Well, you would just disable the other P-Scheduler jobs. Remember, each store needs to have a P-Scheduler job assign to it to ensure data replication for store.